A new “Big Data” project from researchers at Carnegie Mellon University, Yale University, the University of Pennsylvania and the London School of Economics demonstrates that the prices hospitals negotiate with private health insurance companies vary considerably within and across geographic regions in the United States. The study, released today, provides the most comprehensive and detailed analysis of private health care spending in the U.S. to date and examines the real prices hospitals negotiate with private insurers for medical services. 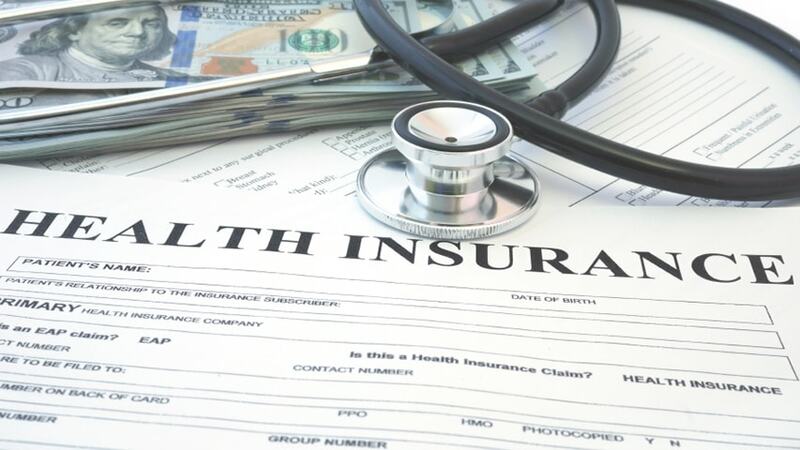 The researchers analyzed 92 billion health insurance claims from 88 million people covered by three of the nation’s largest insurance companies: Aetna, Humana and UnitedHealth. The data, provided by the Health Care Cost Institute, represents spending and utilization for nearly 30 percent of all individuals in the U.S. with employer-sponsored coverage. The study finds that the disparity of hospital prices within regions is the primary driver of variation in health care spending for the privately insured. For example, hospital prices for lower-limb MRIs are 12 times higher in the most expensive area (Bronx, N.Y.) than in the cheapest area (Baltimore, Md.) and can vary by up to a factor of nine within the same geographic area (Miami, Fla.). While there are many factors influencing hospital prices, the study shows that hospitals that face fewer competitors have substantially higher prices, beyond those that would be driven by cost or quality differences. Hospitals in monopoly markets have prices that are more than 15 percent higher than those in areas with four or more competitors. Hospitals that face only one competitor have prices that are over 6 percent higher, and those that face two competitors have prices almost 5 percent higher. “These price differences between hospitals can be thousands of dollars,” said Martin Gaynor, the E.J. Barone Professor of Economics and Health Policy at CMU’s H. John Heinz III College. “For example, the price of an average inpatient stay at a monopoly hospital is almost $1,900 higher than where there are four or more competitors. We know that these higher prices end up getting translated into higher premiums that employers pass on to workers. “There have been over 1,200 mergers in the hospital industry since 1994, and 457 since 2010. Our work shows that the consequences of this merger wave can be dire for consumers. There’s a real need for continued vigorous antitrust enforcement and other policy options to encourage competition and combat market power,” Gaynor said. According to the study, total health care spending for the privately insured varies tremendously across the U.S. Spending was three times greater in the most expensive health market than in the cheapest. Crucially important is that spending patterns for the privately insured don’t look like those for Medicare. There is an extremely low correlation (14 percent) between spending on Medicare beneficiaries and spending on the privately insured. For example, in 2011, Grand Junction, Colo., had the third-lowest Medicare spending per beneficiary among the nation’s 306 hospital markets, but the ninth highest inpatient prices and the 43rd highest spending per privately insured beneficiary. “Virtually everything we know about health spending and most of the basis for federal health policy comes from the analysis of Medicare data,” said Zack Cooper, assistant professor of health policy and economics at Yale. “The rub is that Medicare only covers 16 percent of the population. The majority of individuals — 60 percent of the U.S. population — receive health care coverage from private insurers. This new dataset really allows us to understand what influences health spending for the majority of Americans. This information is critical to creating better public policy. “Many of the regions cited by policymakers as models for the nation, like Grand Junction, Colo.; Rochester, Minn.; and La Crosse, Wis., have extremely high spending for the privately insured. Simply put, we cannot use these areas to shape federal policy,” Cooper said. Health care is among the largest sectors of the U.S. economy and accounted for more than 17 percent of the gross domestic product (GDP) in 2013. “The fact that prices are so high and can vary so much for hospital treatments of the same costs and quality is simply mind boggling to foreign observers of the U.S. health care system. This is surely one of the reasons why U.S. health care absorbs a bigger share of the GDP than every other large advanced country,” said John Van Reenen, professor of economics and director of the Centre for Economic Performance at the London School of Economics. The study, “The Price Ain’t Right? Hospital Prices and Health Spending on the Privately Insured,” was authored by Zack Cooper (Yale University), Stuart Craig (University of Pennsylvania), Martin Gaynor (Carnegie Mellon University) and John Van Reenen (London School of Economics). Download the paper, an executive summary and slides of the analysis.